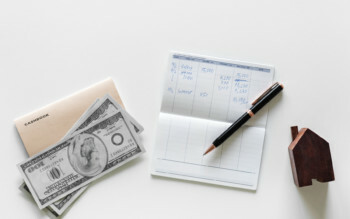 Cloning a document like receipt is an alternative method to bill splitting. This means you can use this approach for double entry accounting debiting/crediting each account for each line item (cloned document) while maintaining a single ledger vs the traditional bill splits which use sub-ledgers. 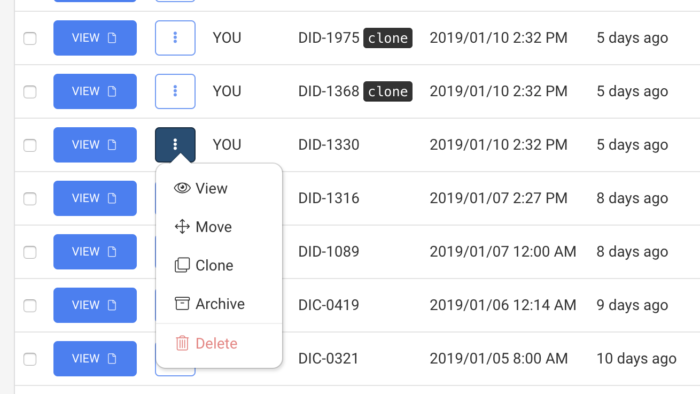 Find the document you want to clone and press “More” button as shown below to reveal available actions for that document. 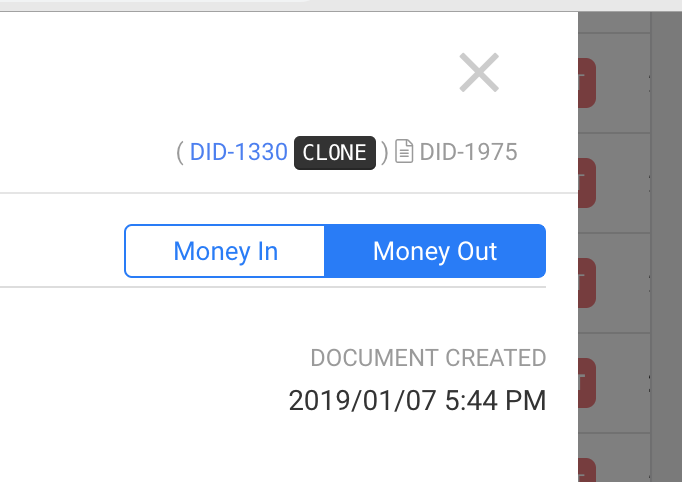 Each cloned document is identified as a clone in the documents list view (show above in the Document ID column) and also inside the document modal (shown below). Note that you can also click the blue link (show above as DID-1330) which will take you to the original document that one is cloned from. Want more of this? Let us know. Email support@veryfi.com with your feedback.